Heavyweight fleece base layer with versatile ¼ zip venting. 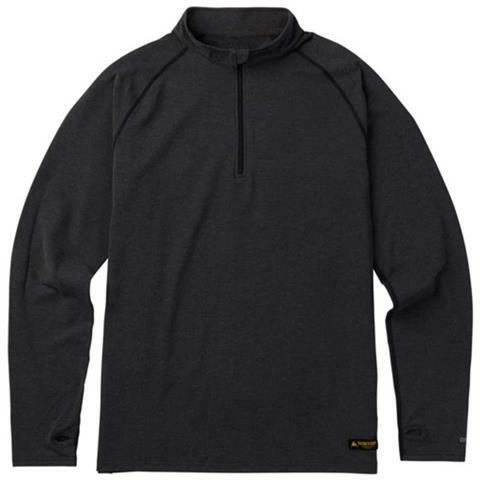 For blizzard-grade base layer performance, the quick-drying Burton Expedition ¼ Zip Shirt features heavyweight warmth, built-in Stretch 360° for rider-friendly mobility, and a Agion Stink-Proof finish that works even better than before. An extra long body let’s you strap in, stretch, or shovel without the shirt un-tucking. Don’t make a big mistake, get inside the Expedition for your next cold weather mission.